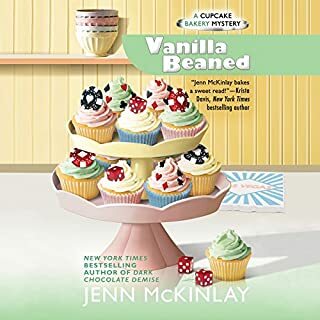 Melanie and Angie are taking a gamble by opening their first franchise of the bakery, and where better to hit the jackpot than Vegas? Holly Hartzmark is a former showgirl who's looking to bring Mel and Angie's sweet treats to Sin City, but Mel isn't so sure she's ready to hand her recipes over to a complete stranger - especially one as brash as Holly. But after the potential bakery location gets blown up, Mel begins seeing another side to Holly. Scottsdale, Arizona, may not be the liveliest place on earth, but it's never been as dead as this. The first annual Old Town Zombie Walk is announced, and Mel, Angie, and the Fairy Tale Cupcake crew are donning their best undead attire to sell some horror-themed desserts to the hungry hordes. But fun turns to fright when Mel finds a real dead body in a prop casket outside of the bakery's truck - and the corpse looks alarmingly like a zombie of their own. Mel worries that someone near and dear was the real target. Night of the Living... Dead Bride? 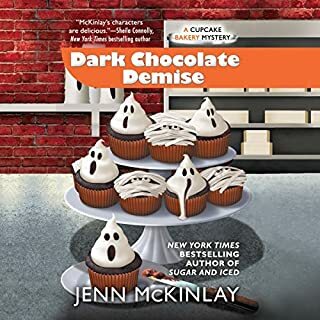 I love all of the Cupcake Bakery Mysteries. They are so engaging. I think I'm guilty of listening to a whole book in 2 days. 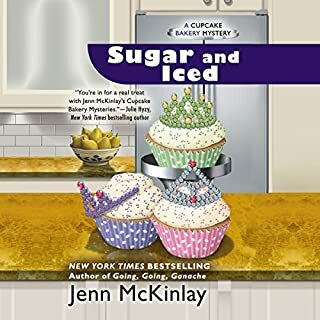 Normally Mel and Angie wouldn't be caught dead at a beauty pageant, but when their bakery is asked to provide cupcakes for the 75th annual Sweet Tiara contest, they can't say no. Between cooking up a daily display for the three-day event and sponsoring a cupcake creation challenge for the participants, Fairy Tale Cupcakes will get great publicity. A high-strung judge targets Lupe, a young friend of Mel and Angie's, at the competition, though, and aims to take her out - by any means necessary. Another sweet twist by Jenn McKinlay. Loved the suspense at then end. Can't wait to read the next one. It's summertime, but sales at their bakery are below zero, so Mel and Angie are willing to try anything to heat things up! When local legend Slim Hazard offers them a chance to sell cupcakes at the annual Juniper Pass rodeo, they're determined to rope in a pretty payday! But not everyone at the Juniper Pass is as sweet for Fairy Tale Cupcakes as Slim - including star bull-rider Ty Stokes. 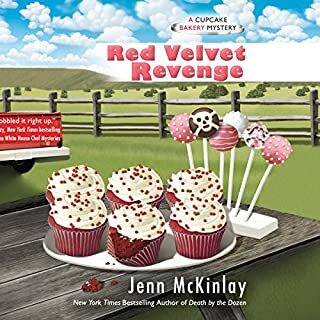 I love Jenn McKinly's light hearted, fun and enticing novels. I always Finnish them smiling!